After her brush with death during a terror attack in 2010, Israeli terror survivor Kay Wilson set to address Human Rights Council. More five years ago, Kay Wilson was the victim of a brutal terror attack committed by three Palestinian Authority residents. The December 2010 attack, which occurred in the Mata Forest near Beit Shemesh, left Wilson wounded. Her friend, Kristine Luken, was murdered in the attack. Wilson only managed to survive the brutal assault by playing dead, fooling her attackers who had already stabbed Wilson 13 times. 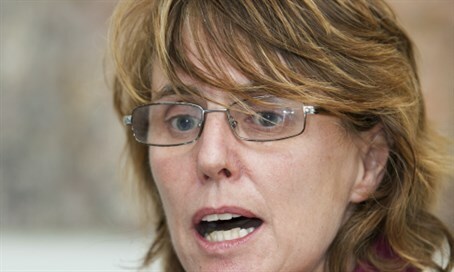 Now the British-born victim-turned-activist is heading to the United Nations to recount her harrowing story of survival. With the help of UN Watch, a Geneva-based human rights group, Wilson has been scheduled to address the United Nations Human Rights Council to share her experience and provide the often neglected perspective of victims of terrorism. Last week, UN Watch Executive Director Hillel Neuer addressed the Council ahead of its 10th anniversary. Questioning the organizations efficacy, Neuer provided examples human rights abuses in member states, prompting angry responses from Russia, Pakistan, Cuba, China, and Venezuela.